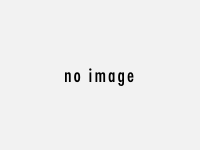 We have exported our product to more than 75 countries and regions. 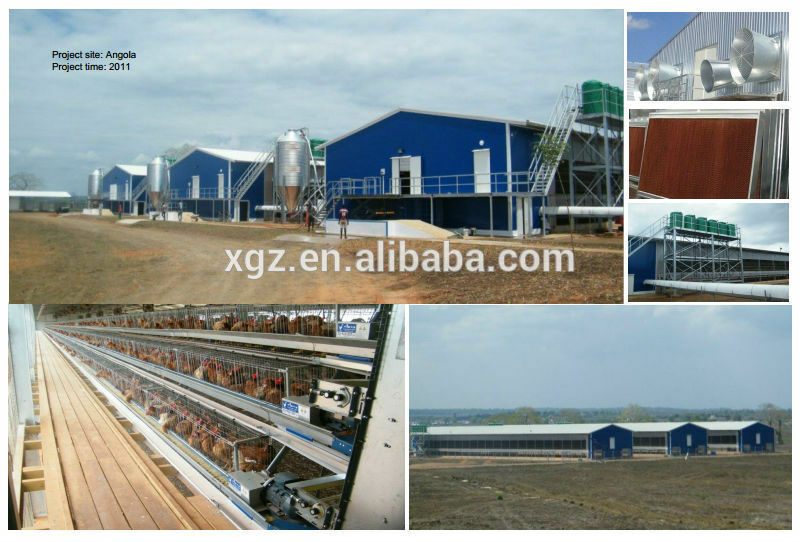 We have built poultry house for our Australia, South Africa, Congo, Angola etc. There are more than 100 engineers in our company, so we can offer one-stop service. 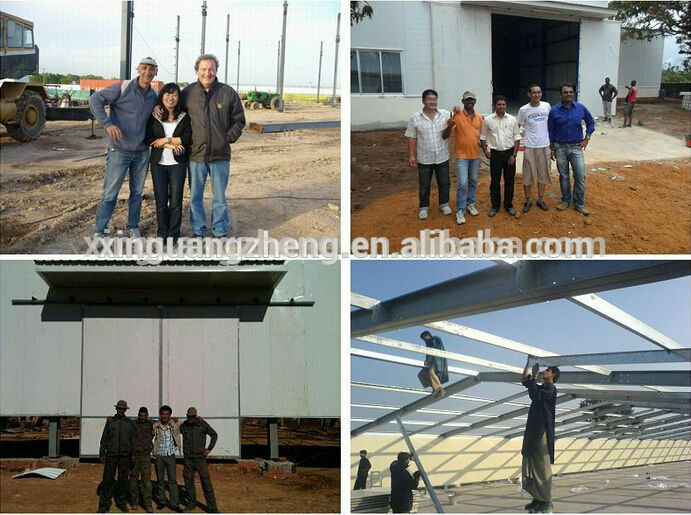 We have sent our engineers to many countries to guide the construction. 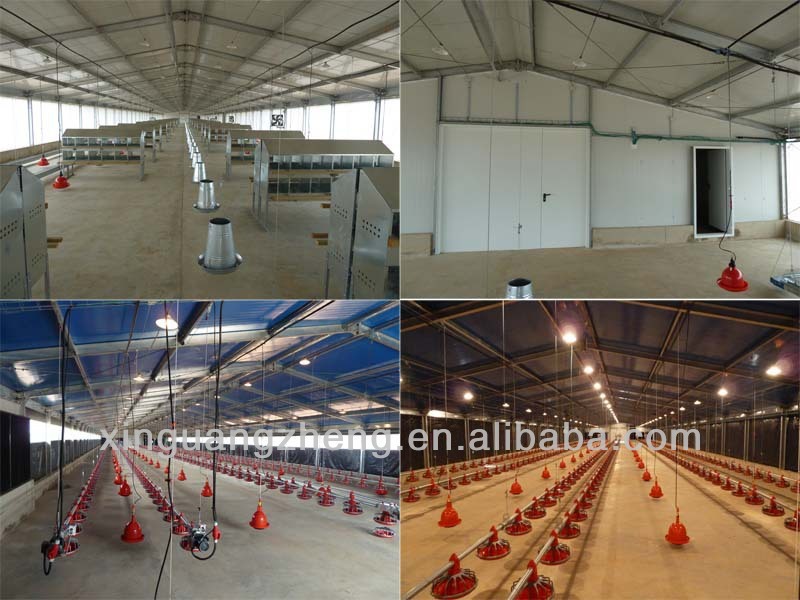 Poultry Farm/Poultry House/Livestock/Chicken House Poultry house is easy to manage and the market is on your doorstep. 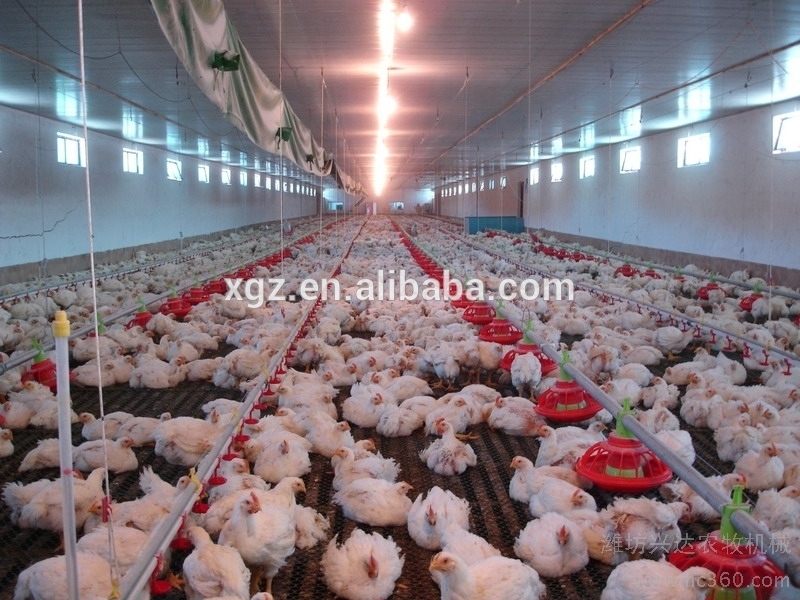 A well managed chicken house is very profitable. 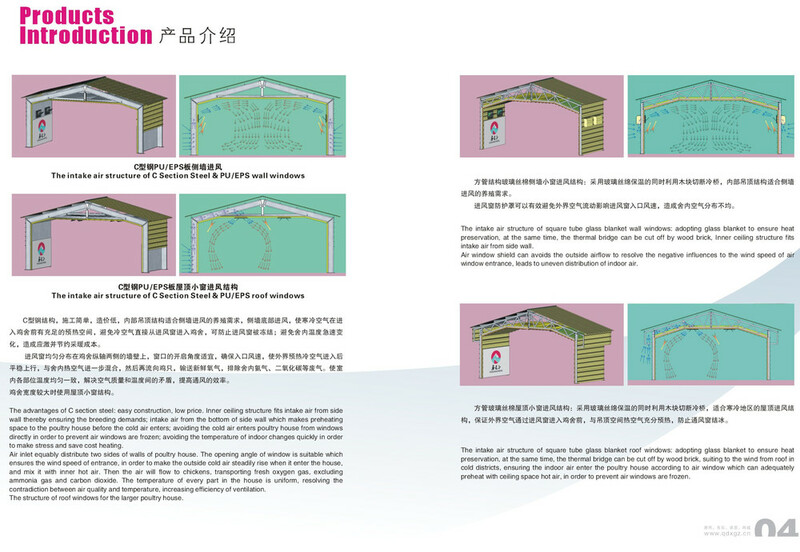 X or V or other type bracing made from angle , round pipe etc. 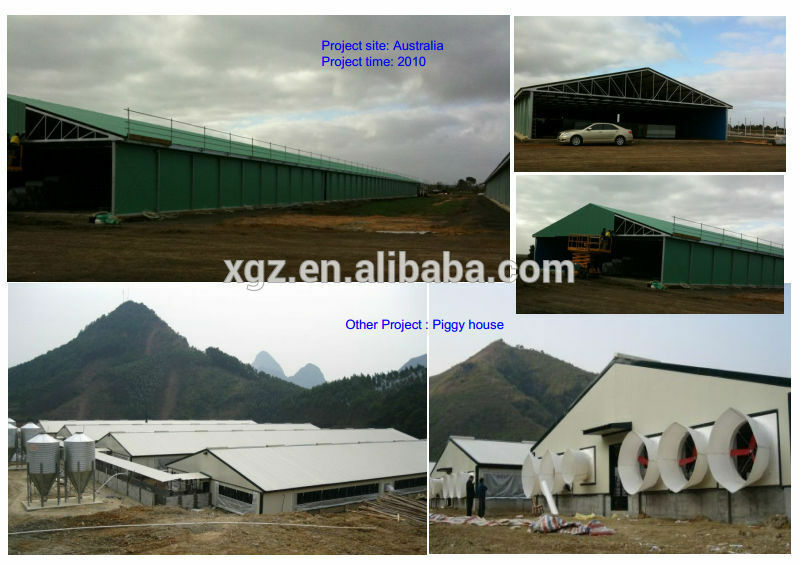 (a) Single colorful corrugated steel sheet --Thickness:0.12-1.2mm; Width: 310-1150mm, etc. 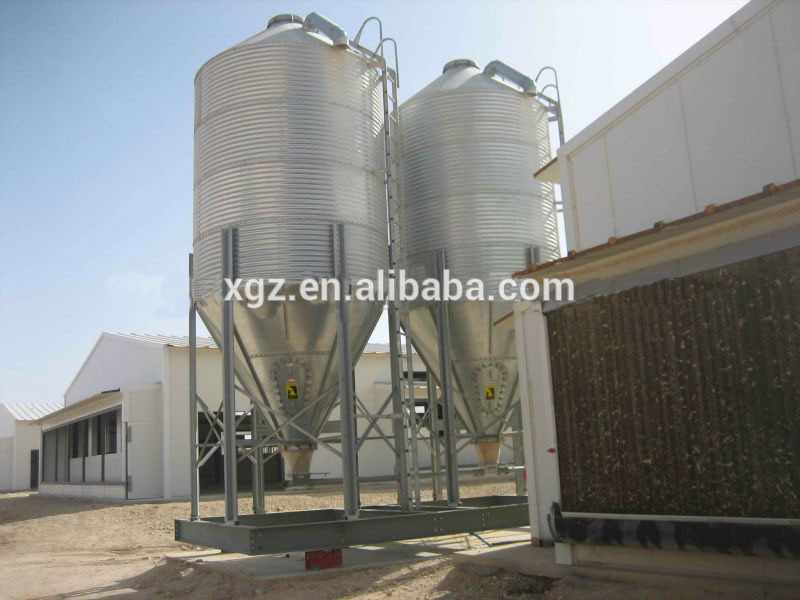 This system delivers feed from the silo to the hopper in the poultry house. There is one feed sensor at the end of main feed line which control the motor on and off automatical to release automatic delivery. 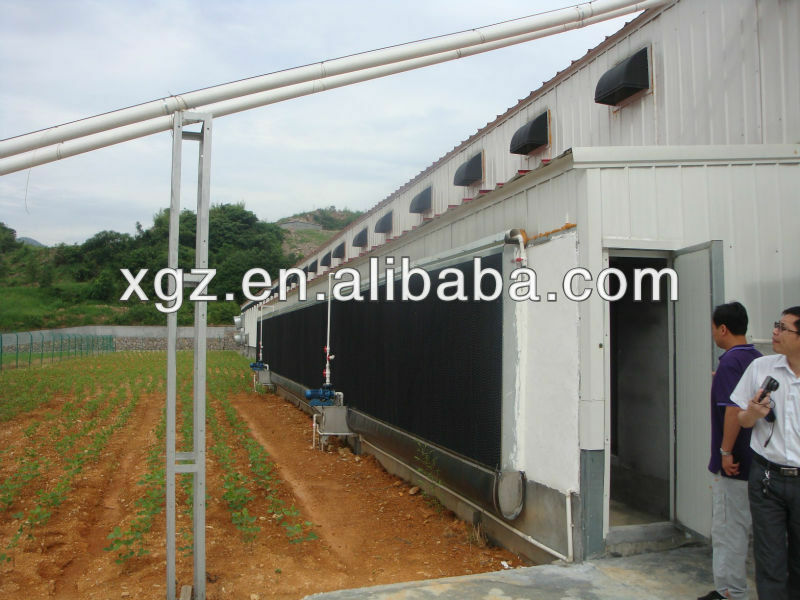 This system deliver feed automatically through motor under the control of feed sensor,which ensure birds feeding during whole growing period. 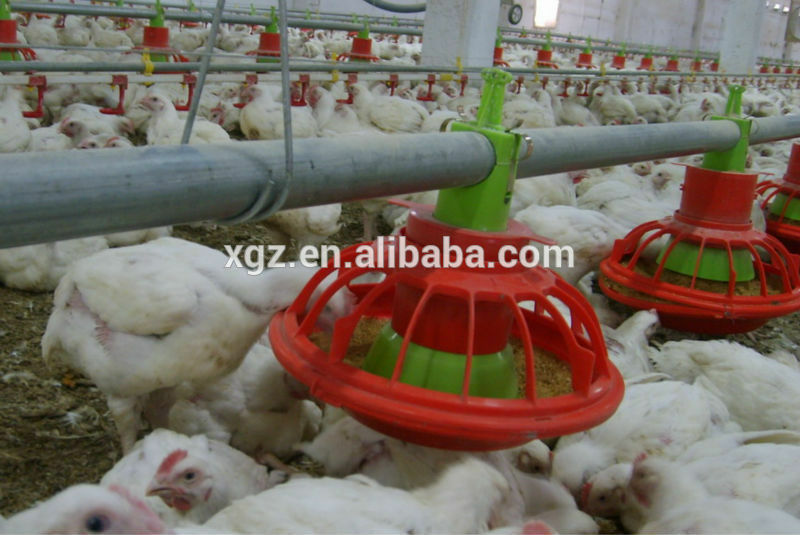 This system can provide fresh and clean water for poultry which is crucial for the growth of poultry.The drinkers can be triggered from 360 degree which helps young birds start well and makes drinking easier. 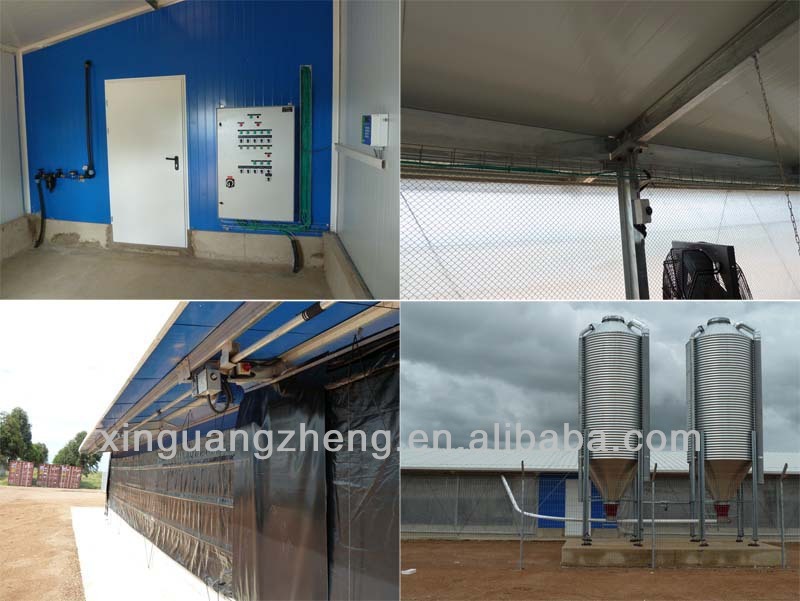 This system controls climate conditions,fresh air,humidity and temperature in poultry shed,it is vital for growing birds.This system include Poultry house fan, Cooling pad,Air inlet window. 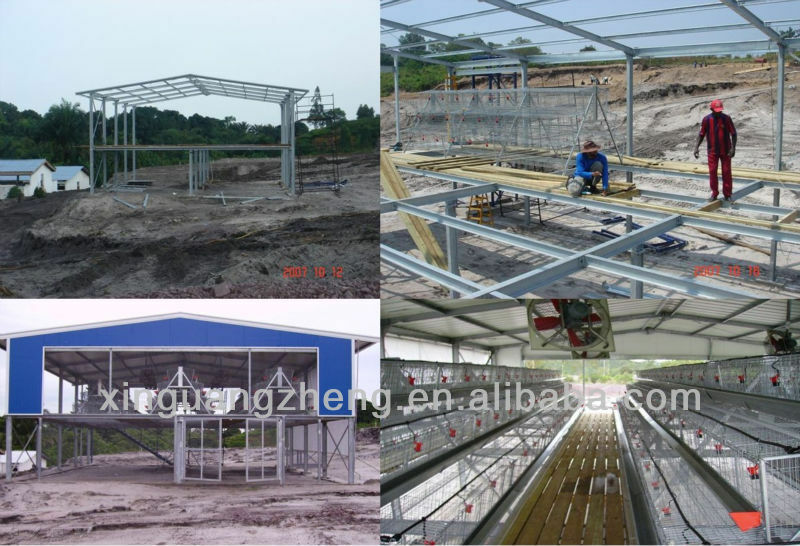 This system saves the labor and the resources under the condition of assuring the optimum growth environment of the chickens. 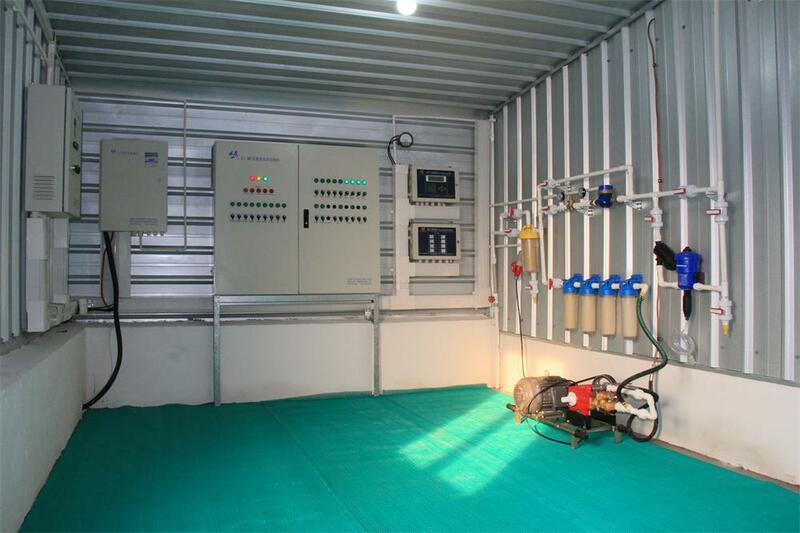 It is imported from Israel can set an optimum working mode according to the local climate and raising environment. 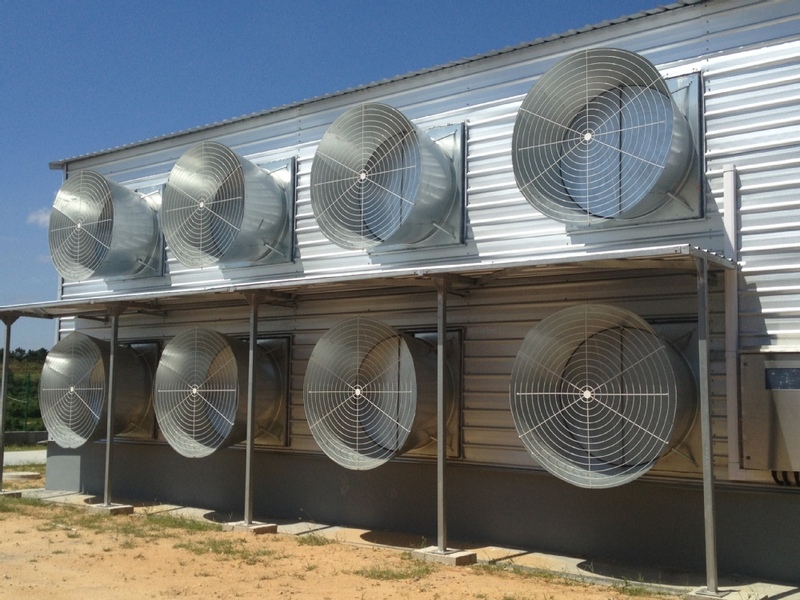 This system effectively cools,humidifies,dedusts and disinfects the henhouse(the temerature is quickly reduced by 3-8 degrees centigrade within a few minutes).